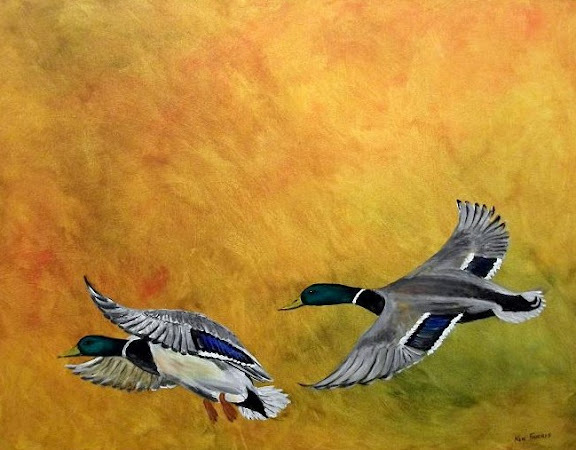 Ken Farris’s love of art dates back to pre-school days when he and his sister painted using their dime store watercolors. 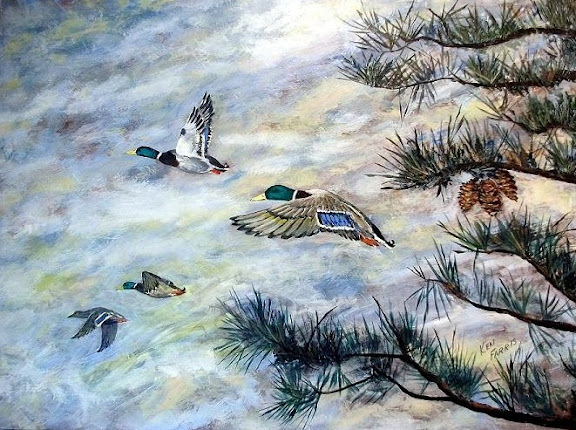 Nature and the world in general fascinated Ken and he planned to be an artist and paint what he loved. But, as is true for many, the pressures of making a living got in the way, and art was set aside during much of his adult life. His love of art and innate talents came to the forfront while working as a Design Engineer winning the prestigious International Award Of Excellence from Ford Motor Co. for design work. In 2002, Ken decided to reclaim his dream and began to study painting, taking as many classes as he could while committing himself to daily studio time. 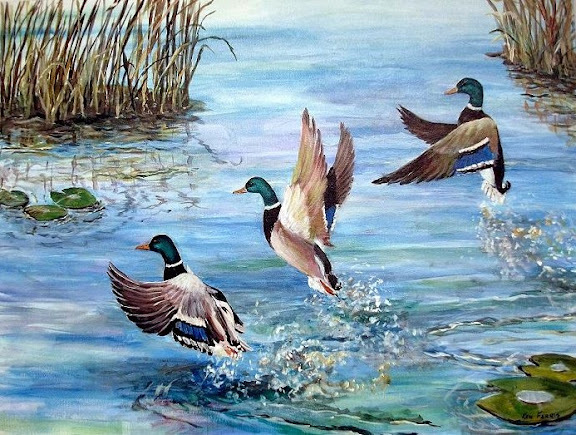 He paints with acrylics, oils, watercolors, colored pencils and enjoys each medium equally. 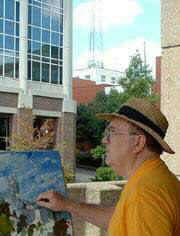 To satisfy his love of nature, he paints plein air when he can. Ken is also an experienced craftsman in the art of wood and metal forming. Whether creating the clean flowing lines of an avocet, the fine details of a branch or the intracacies of a mandolin, his hand carved sculptures and musical instruments have one thing in common, they are each a timeless work of art. 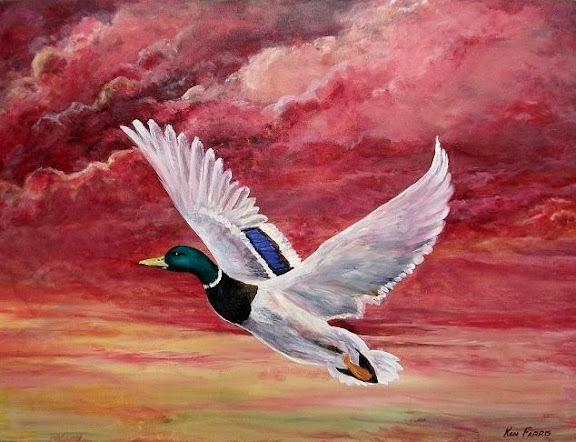 Ken's artwork is displayed in corporate and private collections throughout the country He uses his many travel photos as inspiration for his paintings. They allow him to relive enjoyable experiences yet provide something new and challenging to work from. In 2005, he exhibited his work at the Augusta Haus Art Gallery while serving on their board of managers. Ken Farris is devoted to the cause of Animal Welfare in the state of Missouri & volunteers his time & talents often for Missouri Alliance for Animal Legislation and other animal welfare causes in Missouri. In 2008 he created a series of Christmas Cards with proceeds benefiting the Alliance. A portion of the proceeds from many of his dog paintings are also donated to the Alliance. His works encouraging the support of animal welfare were featured in the Missouri state touring exhibitions of Puppies are Biodegradable, Misery in Missouri, Lions & Tigers & Puppy Mills... oh my and Dogs Can't Vote... You can. Ken Farris is an artist who has proven that it is never too late to live a dream. See more of Ken's artwork on his website.